Brisbane: Travis Head and Marnus Labuschagne missed individual centuries but forged Australia’s highest partnership of the summer to earn the hosts a handy lead against Sri Lanka on day two of the series opening day-night test on Friday. Their 166-run stand powered Australia to 323 in reply to Sri Lanka’s first innings total of 144 and Pat Cummins struck with the final ball of the day to reduce the tourists to 17 for one at stumps at the Gabba. Lahiru Thirimanne was batting on six having lost opening partner Dimuth Karunaratne to Cummins for six with Sri Lanka trailing by 162 runs. 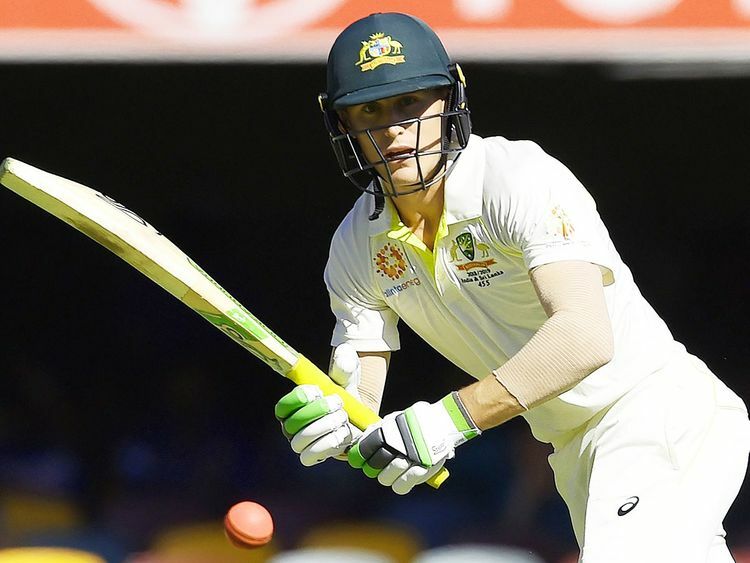 Head (84) and Labuschagne (81) featured in a 166-run stand for the fifth wicket, surpassing the 112-run stand between Marcus Harris and Aaron Finch in the Perth Test against India as Australia’s best this season. Resuming at 72-2, Harris (44) could only add four runs to his overnight score before offering a simple catch to Thirimanne off Lahiru Kumara in the first over of the day. Nightwatchman Nathan Lyon (one) also departed soon leaving Australia on 82-4 when Labuschagne and Head steadied the innings, both bringing up their half centuries in the middle session. Labuschagne, playing in his fourth Test, scored his maiden Test fifty in 97 balls with three boundaries after taking 20 balls to get off the mark. Head scored his fourth half-century off 109 balls, with six boundaries, but was fortunate to survive on 29 when he was dropped by wicketkeeper Niroshan Dickwella off Suranga Lakmal (5-75). Labuschagne looked set to score Australia’s first century since Usman Khawaja’s 141 against Pakistan in October but he chipped straight to midwicket off Dhananjaya de Silva. Head’s tilt at a breakthrough hundred also ended in heartbreak as he was trapped lbw by Lakmal. Head’s review was in vain as the ball tracking showed the ball clipping the top of the stumps. Next ball, Lakmal had Tim Paine edging through to Kusal Mendis who took an excellent diving catch at slip. Cummins also departed without scoring, caught behind off Dushmantha Chameera as the night conditions again offered plenty of assistance for Sri Lanka’s swing bowlers. Kurtis Patterson played some impressive strokes to make 30 on debut before he became Lakmal’s fifth wicket.